It was the first time since the supreme court ruling that Nasa coalition were having a their political campaign in Kibera’s famous Kamkunji ground. 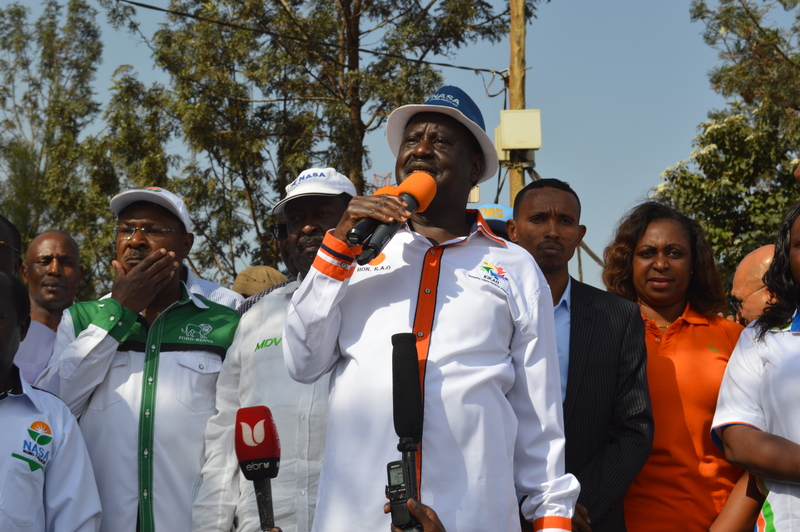 The Nasa Presidential aspirant Raila Odinga was present accompanied by other Nasa leaders and Mps among them Kalonzo Musyoka, Musalia Mudavadi, Moses Wetangula and Kibra Mp Ken Okoth. They used the time to critisize the President on what they termed as lack of respect for the constitution since the president was presiding over the official opening of 12th parliament, the leaders wondered why the 11th president was opening the 12th parliament ahead of the presidential elections scheduled for 17th of October. 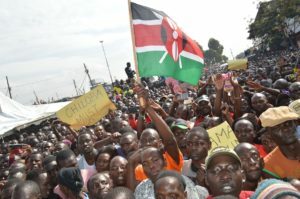 The Nasa members of parliament had skipped the opening ceremony as a sign of protest and so used the opportunity to attend the campaign rally and together drum up support for their presidential candidate. They also used the same opportunity to call on the Independent Election and Boundaries Commision CEO Ezra Chilloba to resign after accusing him of engaging in election mal-practises during the 8th August general election as they also threatened not to participate in 17th presidential election if the IEBC CEO refuse to resign. 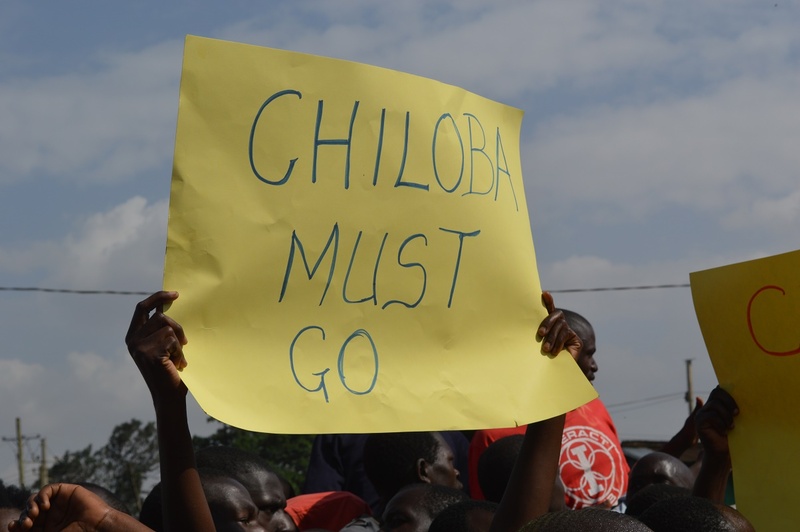 Chants of ‘Chiloba must go’ could be heard all around as Kibera residents cheered on the Nasa leaders. The leaders seemed to be calling on their Kibera supporters to join in on calling for the resignation of IEBC officials believed to have been tainted by the 8th August 2017.